CHANDIGARH: The Cultural Affairs and Tourism Minister, Punjab, Mr. Navjot Singh Sidhu here today presided over a high level meeting with the higher officials of the department in order to chalk out a comprehensive roadmap to transform and develop potential places inside the state as the tourism and cultural hubs thus leading to a sea change in Punjab from economic point of view. Divulging the details, the minister said that 30 places of significance throughout Punjab would be developed and given a facelift as world class tourism spots and a sum of Rs. 590.97 crores would be spent to ensure that Punjab emerges as a big time player on the world tourism stage. The minister further said that projects under the various schemes have been chalked out to develop various places as centers of excellence from tourism viewpoint and there is no dearth of funds to give wings to the dream of propelling Punjab on to international level. He also said that Amritsar would be the centre of attraction in terms of tourism for the 11 places out of the 30 are in and around the city. 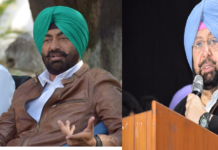 Mr. Sidhu further added that all these projects would come to fruition within one year and would have facilities such as Landscaping, Restaurants, Parking and Toilets for the convenience of the tourists. The minister while outlining the details of the funds with regard to the project said that out of Rs. 590.97 crores a sum of Rs. 344 crore is being availed as loan from the Asian Development Bank (ADB) the sanction for which has been granted. Apart from this, the sanction pertaining to Rs. 96.97 crores for the revamp of the religious & historical cities in accordance with the ‘Swadesh Darshan Scheme’ of the Union Government has also been accorded. The process to release this amount is in final stages. Similarly, for the Amritsar city under the ‘Prasad’ scheme Rs. 50 crore would be spent. Mr. Sidhu further elaborated that a project of Rs. 100 crore has been prepared under ‘Mughal Circuit’ which aims at developing historical spots in the state connected with the Mughal rule. He said that the total cost of the project is Rs. 590.97 crore and after this gets completed another project worth Rs. 100 crore under the ‘Maharaja Circuit’ for the cities having connection with the princely states would be sent to the Union Government. The minister also said that all the officers in today’s meeting have been instructed to chalk out the tour itinerary of all the places and he would personally visit all these places along with officers and consultants. 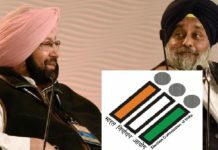 In the 1st phase from 15th June he would visit Amritsar, Kalanaur, Harike Pattan, Kapurthala, Hussainiwala and also have meetings with the local administration in order to ensure the smooth running of the projects. Detailing more, Mr. Sidhu said that during these visits he would be accompanied by the eminent conservation expert Abha Narayan Lamba, who was present in today’s meeting and representatives of Night Frank company. He said that big names from the hotel industry too have been invited for constructing government hotels on the assets of the department on important tourist spots in the state. He said that the main aim is to revive PINCASSIA in Ropar as the tourism attraction for propelling the income of the state. Besides this, the minister also directed the opening of restaurants on PPP mode for the convenience of the tourists in the various parts of the state such as Virasat-E-Khalsa Sri Anandpur Sahib, Shaheed Bhagat Singh Museum Khatkar Kalan (Nawanshahar), Malout-Abohar road. He also expressed strong hope that the food street in Amritsar at town hall would be a place of great attraction for the tourists regarding which the tender process has been started. Giving details of the spots to be developed for the sake of tourists, Mr. Sidhu said that Heritage Street, Wagha Border, Gobindgarh Fort, Jallianwala Bagh, Partition Museum, War Memorial, Pul Moran, Bhagwan Valmiki Ji Tirath Sthal, Food Street, Maharaja Ranjit Singh Summer Place at Rambagh and Saada Pind are situated at Amritsar while Ropar has treaty spot of Maharaja Ranjit Singh and Lord William Bentick, Bathinda Fort, Patti Fort, Bahadurgarh Fort at Patiala, Virasat-E-Khalsa at Sri Anandpur Sahib, Theme Park Chamkaur Sahib, Aam Khas Bagh Sirhind, Coronation spot of Mughal Emperor Akbar at Kalanaur in Gurdaspur, Samadh Baba Ala Singh, Shaheed-E-Azam S. Bhagat Singh museum at Khatkar Kalan, Jang-E-Azadi memorial at Kartarpur, Sarai Lashkari Khan at Doraha, Sarai Shambhu, Sarai Noor Mahal, Banasar Bagh Sangrur, Durbar Hall Kapurthala and Moorish Mosque Kapurthala. 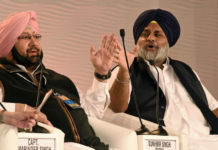 The minister reiterated that Punjab would be fully transformed and readied within coming 6 months to be a world class tourism hub and help connect the NRI Punjabi Diaspora with its historical and cultural roots. He also said that he would with the permission of the Chief Minister, Captain Amarinder Singh visit Canada, England, Australia and USA to meet international tour operators for attracting tourist inflow towards Punjab. He also exuded confidence that the tourism department would be the propeller of the growth of Punjab from economic viewpoint. On the occasion, Secretary, Cultural Affairs and Tourism Mr. Vikas Pratap, Director Mr. Shivdular Singh Dhillon, Abha Narayan Lamba and consultants along with officers were also present.